Here is a scary article in the current issue of Forbes concerning the potential dangers of filing a joint U.S. tax return. Marriage Trap: Before you sign a joint tax return, consider the consequences--and these IRS horror stories. For better, for worse, for richer, for poorer," goes the classic wedding vow. Nothing in that vow requires you to file a joint tax return with your spouse. Yet 95% of married couples check the "married filing jointly" box on their 1040 each year. Even couples with prenuptial agreements and those who hold assets separately routinely file jointly. Why some do so is a mystery--a mystery that, thanks to Internal Revenue Service policies, can turn into a horror flick worthy of Alfred Hitchcock. True, filing jointly often produces modest tax savings compared with electing "married filing separately" status. But it also means each spouse is 100% liable for all taxes and penalties owed. So if you're an employee who has the tax owed on your salary withheld from your paycheck and your spouse is self-employed and gets behind on his or her estimated tax payments (a too common occurrence), you're both on the hook for the back taxes. More egregiously, if one spouse has unreported income, gambles away the tax money, lies about offshore bank accounts or just disappears (even with a paramour), the other is on the hook. 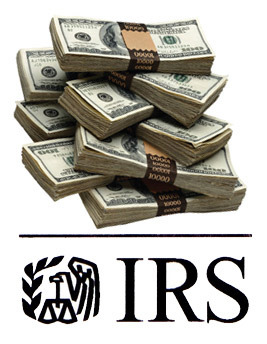 Plus, IRS collection agents may come after the wronged spouse first--if that spouse has income and assets that are easier to grab. Wait a minute. Isn't there some special protection in the law that allows an "innocent spouse" to be relieved of joint tax liabilities? Yes, but the miserly way in which the IRS administers this congressionally created protection means that such a spouse may have to go to court for relief. Example: In January the U.S. Tax Court overruled the IRS' refusal to grant relief to an impoverished high school dropout who had been physically and emotionally abused by her ex-husband (Stephenson v. Commissioner, T.C. Memo. 2011-16). In another stunning case (Sunleaf v. Commissioner, T.C. Memo. 2009-52) the Tax Court ordered the IRS to provide relief to a 70-year-old disabled and retired nurse who discovered financial chaos after the death of her husband of 38 years, a lawyer. He had hidden his debts from her by having bills sent to a post office box. But innocent spouses can't always count on the courts, either. Last year an appeals court backed up the IRS' decision to deny relief to Cathy Lantz, a financially unsophisticated woman whose dentist husband was convicted of Medicaid fraud. There was no suggestion she was aware of the fraud or the unreported income from it. But the court said (Lantz v. Commissioner, 7th Cir. 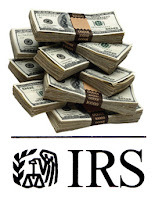 2010) the IRS could deny her relief based on a rule requiring innocent spouse applications to be filed within two years of the start of an IRS collection action. Lantz's husband had said he'd apply for her but died in a prison halfway house before doing so, leaving her with a blown deadline and a $1.3 million tax debt. Under pressure from Congress the IRS is now reconsidering the application of the two-year rule and might allow additional time in some cases. That's might, not will. Besides, there's no suggestion the narrow standards the IRS uses to determine innocence will suddenly become more forgiving. So if you want to avoid a potential tax mess, file separate returns. At a minimum run the numbers both ways so you can evaluate whether any joint filing tax savings are worth the risk.